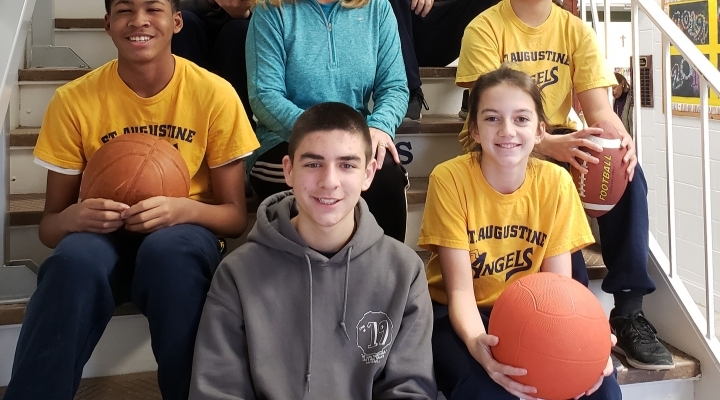 St. Augustine Catholic School is concerned with the development of the entire person - the religious, moral, social, academic, and physical dimensions of our students. SAS believes that participation in athletics is an important part of student development. Through participation in our athletic program, students may develop life-long skills and positive values. These values include leadership, healthy living habits, self-discipline, integrity, and teamwork. Our program also teaches our students respect for rules and regulations as well as the ability to participate in all life's events with dignity and grace. Please contact the CYO Parish Athletic Director for information.